It’s another Friday YAY!!! Each week I try to create something different than the previous week so that I can offer a variety (which I am a strong believer is the spice of life) of planner quote stickers for everyone. 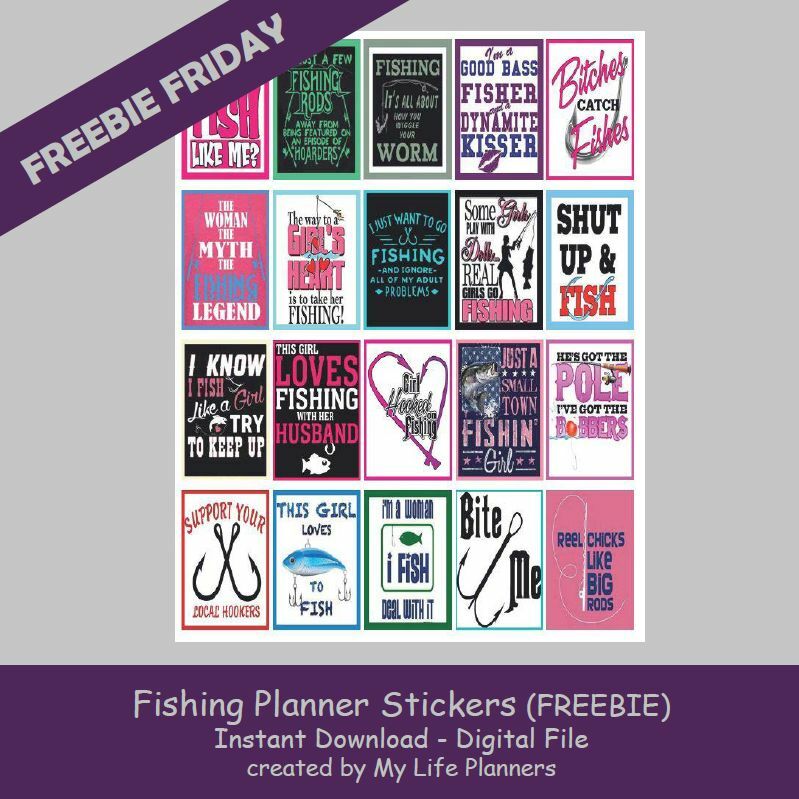 Summer time reminds me of outdoor activities like camping and fishing so this week for Freebie Friday I am featuring Fishing Quotes for your Planners. If you like to fish these stickers will be the catch of the day.